February 2019 EDIT: Google announced at Superweek Hungary the imminent release of tag templates, allowing for more tag flexibility! If you use Google Tag Manager on a daily basis like I do (or hourly in my case), you probably love the fact that you can tie in tags for the entire Google ecosystem, especially now that Google released native support for YouTube tracking. This is both great and somewhat frustrating because most digital marketers use tags for other providers on top of Google’s. 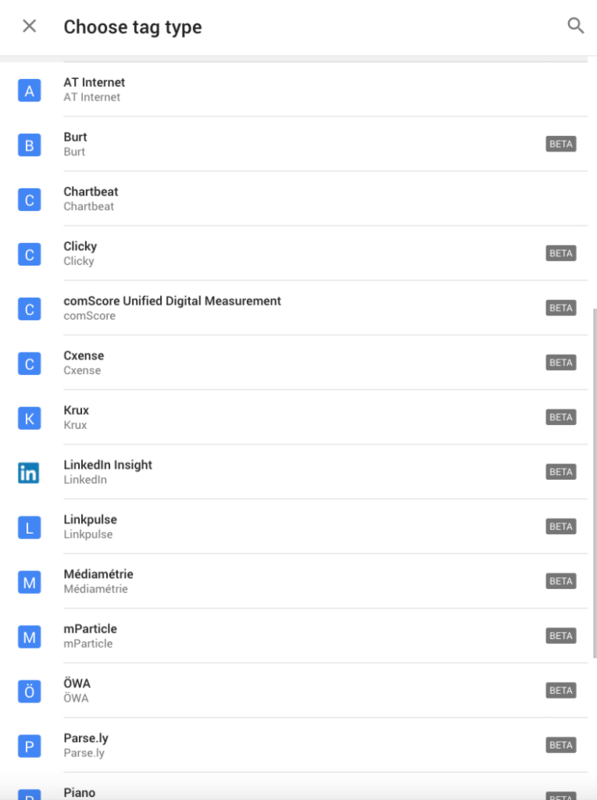 Of course, Google has gradually added support for more tags outside of the Google ecosystem, but mostly for ad/targeting systems, not really for digital analytics vendors. 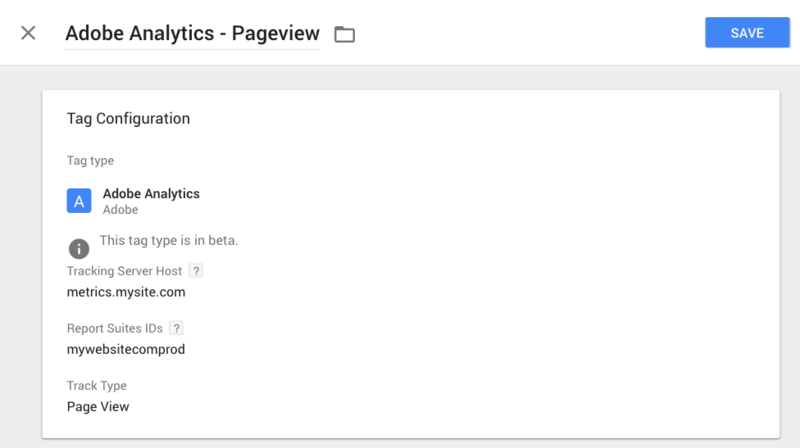 If you use a Web container in Google Tag Manager, you will not see those analytics tags right away. Observe how you can set familiar settings such as tracking server and reportsuite ID. Of course, this is a basic tag intended for AMP pages. In time, it is very likely that GTM will extend new tag vendors for Web and mobile containers and provide support for more variables (eVars, props, custom links, products, etc.). This is very promising news for GTM and also a potential wake up call for other tag management vendors such as Adobe, Tealium and Ensighten (to name only the major vendors). For years, other TMS vendors have struggled against Google’s free TMS’s skyrocketing market share by using the argument that Google Tag Manager was pretty much restricted to tags within the Google ecosystem. This marketing/sales strategy left vendors open reign to deploy other enterprise tags such as Adobe Analytics, Webtrends, or comScore. Now that Google is on the verge of releasing support for other enterprise tag vendors, the USPs and arguments in favor of other TMS vendors are becoming less obvious for digital marketing teams. By the way, even at an early stage of this new tag rollout, it is disconcerting to see a lack of support for tag vendors such as Webtrends and IBM. What about you? Are there tags you would like to see in GTM? Let me know in the comments!